Daniel Tibbitt is the owner and managing partner of Tibbitt Law. After graduating from Northwestern University in 2001 and Columbia Law School in 2004, he moved to Miami to begin his legal career. His first job was at the Miami-Dade public defender’s office, an excellent place to learn to practice law. 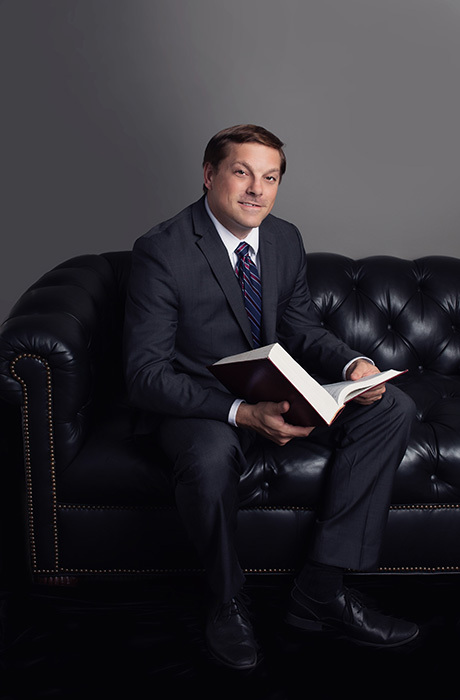 Mr. Tibbitt began to learn the art of practicing appellate law while at the public defender’s office and ultimately transitioned into a 100 percent appellate practice. At the PD’s, he practiced extensively in front of the Third District Court of Appeals and also handled and won cases in the Florida Supreme Court. The experience and the colleagues at the PD’s office were great, but Mr. Tibbitt eventually saw a need for a dedicated and knowledgable private criminal appellate attorney. There were not, and still are not, many private attorneys who handle appeals, and there is a great need in Miami and Florida for these services. Mr. Tibbitt initially worked in another lawyer’s firm managing an appellate practice, which he built up. In 2015 Mr. Tibbitt spun off his own appellate law firm, and in 2016 Mr. Tibbitt opened his own physical appellate law offices in Miami at 12550 Biscayne Boulevard Suite 800. Mr. Tibbitt believes strongly that it is never too late to fight for a client. There are far too many people locked up in Florida’s jails and prisons. Often Mr. Tibbitt is confronted with situations where a client is still in prison 25 or more years after the underlying accusation. We pledge in these situations and in every situation to do everything within our power to assist our clients. Whether you or your loved one has been convicted and sentenced yesterday or years ago, we can and do help. Appellate law is fundamentally about two things—research and writing. Mr. Tibbitt constantly stays abreast of decisions from Florida’s District Courts of Appeal and Supreme Court, as well as the United States Supreme Court, the Eleventh Federal Circuit Court of Appeals which oversees all Florida federal courts, and the relevant Florida federal district courts. New law is always being created in these courts, and Mr. Tibbitt is among the first to know it and thus know how it can benefit his clients. As to writing, Mr. Tibbitt has always been a skilled writer. He prides himself on clearly and effectively communicating his clients’ arguments in his briefs. Writing samples are always available to prospective clients upon request and his writing speaks for itself. When you hire us, you are getting a real appellate lawyer, not a trial lawyer who will take appeals if he gets paid to do it but does not truly know the ins and outs of appellate practice. All we do is appeals, and we do it well enough to have built a business out of it. We cannot guarantee an ultimate result in your case, but we can guarantee we will do everything we possibly can do to help you and your family get the results you need and deserve. We also promise to clearly and directly inform you on everything that is going on in your case, to take your phone calls, to set up conference calls promptly with your loved one in prison, and to continually earn your trust. I want to help you. Please call me today. This is what most people think of when they think of appeals. The direct appeal immediately follows the trial or hearing. After two years from the conclusion of the direct appeal, it becomes more difficult, but not impossible, to bring a successful appellate case.